A first new luminosity function of galaxies can be built starting from a left truncated beta probability density function, which is characterized by four parameters. In the astrophysical conversion, the number of parameters increases by one, due to the addition of the overall density of galaxies. A second new galaxy luminosity function is built starting from a left truncated beta probability for the mass of galaxies once a simple nonlinear relationship between mass and luminosity is assumed; in this case the number of parameters is six because the overall density of galaxies and a parameter that regulates mass and luminosity are added. The two new galaxy luminosity functions with finite boundaries were tested on the Sloan Digital Sky Survey (SDSS) in five different bands; the results produce a “better fit” than the Schechter luminosity function in two of the five bands considered. A modified Schechter luminosity function with four parameters has been also analyzed. where sets the slope for low values of , is the characteristic luminosity and is the normalization, see  . This LF is defined in the in the interval and has replaced other LFs presented by  - . This two-component LF defined between the maximum luminosity, , and the minimum luminosity, , has five parameters because two additional parameters have been added: which represents the magnitude where dwarfs first dominate over giants and which regulates the faint slope parameter for the dwarf population. 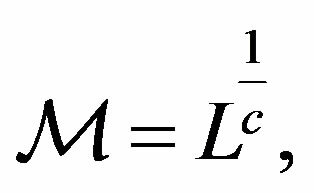 where is the exponent at low luminosities , is the exponent at high luminosities , is a parameter of transition between the two power laws, and is the characteristic luminosity. Another LF starts from the probability density function (PDF) that models area and volumes of the Voronoi Diagrams and introduces the mass-luminosity relationship, see  ; in the SDSS case . A last example is represented by three new LFs deduced in the framework of generalized gamma PDF, see  ; in the SDSS case . All the previous LFs cover the range and therefore the analysis of finite upper and lower boundaries can be a subject of investigation. 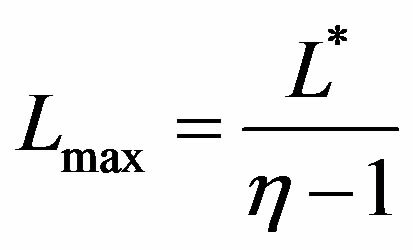 Another interesting observational fact is that at low values of luminosity (high absolute magnitude) the observed LF has an approximate constant value. The left truncated beta with scale PDF recently derived , see Equation (34) in  , satisfies the two issues previously raised. In order to explore the connection between LF and evolution of galaxies see  - . Here we analyze in Section 2 a left truncated beta LF for galaxies and in Section 3 a left truncated beta for mass which transforms itself in a LF for galaxies through a nonlinear mass-luminosity relationship. Section 4 reports a recent LF for galaxies which has a finite boundary at the bright end. This data-oriented LF contains the five parameters , , , , which can be derived from the operation of fitting the observational data and which characterize the considered band. The number of variables can be reduced to three once and are identified with the maximum and the minimum absolute magnitude of the considered sample. The numerical analysis points toward value of . Once as an example we fix we have only to find the two parameters and . The test on the new LF were performed on the data of the Sloan Digital Sky Survey (SDSS) which has five bands u*, g*, r*, i*, and z*, see  . Table 1 reports the bolometric magnitude, the numerical values obtained for the new LF , the number, N, of the astronomical sample , the of the new LF, the reduced , , of the new LF, the of the Schechter LF, the reduced , , of Schechter LF and the computed as in  for the five bands here considered. Table 1. Parameters of fits in SDSS Galaxies of LF as represented by formula (10) in which the number of free parameters is 5. Table 2 reports the numerical values obtained for the new nonlinear LF as represented by Equation (17), the of the new LF and the of the new LF in the five bands here considered. The Schechter LF, the new LF represented by formula (17) and the data of SDSS are reported in Figure 1-5, where bands u*, g*, r*, i*, and z* are considered. A discussion on the distribution of M/L in all photometric bands can be found in  . Table 2. Parameters of fits in SDSS Galaxies of LF as represented by our non linear LF (17) formula (10) in which the number of free parameters is 6. Figure 1. The LF data of SDSS (u*) are represented with error bars. The continuous line fit represents our non linear LF (17) and the dotted line represents the Schechter LF. Figure 2. The luminosity function data of SDSS (g*) are represented with error bars. The continuous line fit represents our non linear LF (10) and the dotted line represents the Schechter LF. Figure 3. The luminosity function data of SDSS (r*) are represented with error bars. The continuous line fit represents our non linear LF (10) and the dotted line represents the Schechter LF. Figure 4. The luminosity function data of SDSS(i*) are represented with error bars. The continuous line fit represents our non linear LF (10) and the dotted line represents the Schechter LF. Figure 5. The luminosity function data of SDSS(z*) are represented with error bars. The continuous line fit represents our non linear LF (10) and the dotted line represents the Schechter LF. As an example the Schechter LF, the modified Schechter LF represented by formula (22) and the data of SDSS are reported in Figure 6 for the u* band and Table 3 reports the results of the fits in all the five bands of SDSS. Figure 6. The luminosity function data of SDSS (u*) are represented with error bars. The continuous line fit represents the modified Schechter LF (22) and the dotted line represents the Schechter LF. Table 3. Parameters of fits in SDSS Galaxies of the modified Schechter LF as represented by formula (22) in which the number of free parameters is 4.
absolute magnitude makes attractive the exploration of the left truncated beta LF. We derived two LFs adopting the framework of the linear M-L relationship, see Equation (10), and the framework of the non linear M-L relationship , see Equation (17). We have computed and for two LFs here derived and compared the results with the Schechter LF, see Tables 1 and 2. In the linear M-L case and are greater of that of the Schechter LF. In the non linear M-L case and , and , are smaller in two bands over five in respect to those of the Schechter LF. 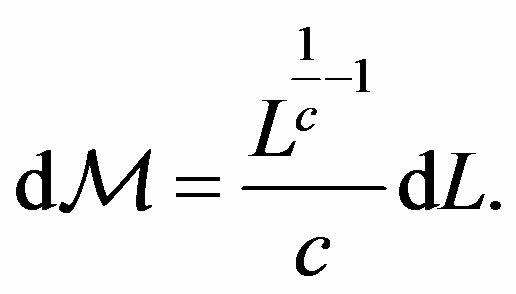 The non linear case suggests a power law behavior with an exponent and therefore M-L relationship has an exponent greater than 1 but smaller than 4 , the theoretical value of the stars. The modified Schechter LF when , which is the case of SDSS , has by definition an upper boundary, see 4. The and are smaller in five bands over five in respect to those of the Schechter LF. 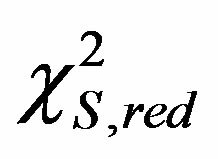 This goodness of fit is due to the flexibility introduced by the fourth parameter as outlined in  . The Schechter LF is motivated by the Press-Schechter formalism on the self-similar gravitational condensation. Here conversely we limited ourself to fix a lower and an upper bound on the mass of a galaxy and we translated this requirement in a PDF for mass and then in LF. Finite-size effects on the luminosity of SDSS galaxies has also been explored in  . Kiang, T. (1961) The Galaxian Luminosity Function. Monthly Notices of the Royal Astronomical Society, 122, 263. Abell, G.O. (1965) Clustering of Galaxies. Annual Review of Astronomy and Astrophysics, 3, 1-22. Arakelyan, M.A. and Kalloglyan, A.T. (1970) The Luminosity Function of Field Galaxies. Soviet Astronomy, 13, 953. Blanton, M.R., Lupton, R.H., Schlegel, D.J., Strauss, M.A., Brinkmann, J., Fukugita, M. and Loveday, J. (2005)The Properties and Luminosity Function of Extremely Low Luminosity Galaxies. Astrophysical Journal, 631, 208. Tempel, E., Einasto, J., Einasto, M., Saar, E. and Tago, E. (2009) Anatomy of Luminosity Functions: The 2dFGRS Example. Astronomy & Astrophysics, 495, 37. Zaninetti, L. (2008) A New Luminosity Function for Galaxies as Given by the Mass-Luminosity Relationship. The Astronomical Journal, 135, 1264-1275. Zaninetti, L. (2010) The Luminosity Function of Galaxies as Modelled by the Generalized Gamma Distribution. Acta Physica Polonica B, 41, 729. Zaninetti, L. (2013) The Initial Mass Function Modeled by a Left Truncated Beta Distribution. Astrophysical Journal, 765, 128. Cooray, A. and Cen, R. (2005) The Rise of Dwarfs and the Fall of Giants: Galaxy Formation Feedback Signatures in the Halo Satellite Luminosity Function. Astrophysical Journal, 633, L69. Cooray, A. and Milosavljevic, M. (2005) What is L*? Anatomy of the Galaxy Luminosity Function. Astrophysical Journal, 627, L89. Cooray, A. and Milosavljevic, M. (2005) Dissipationless Merging and the Assembly of Central Galaxies. Astrophysical Journal, 627, L85. Tinker, J.L., Weinberg, D.H., Zheng, Z. and Zehavi, I. (2005) On the Mass-to-Light Ratio of Large-Scale Structure. Astrophysical Journal, 631, 41. Tinker, J.L., Norberg, P., Weinberg, D.H. and Warren, M.S. (2007) On the Luminosity Dependence of the Galaxy Pairwise Velocity Dispersion. Astrophysical Journal, 659, 877. Abramowitz, M. and Stegun, I.A. (1965) Handbook of Mathematical Functions with Formulas, Graphs, and Mathematical Tables. Dover, New York. Von Seggern, D. (1992) CRC Standard Curves and Surfaces. CRC, New York. Thompson, W.J. (1997) Atlas for computing mathematical functions. Wiley-Interscience, New York. Gradshteyn, I.S. and Ryzhik, I.M. and Jeffrey, A. and Zwillinger, D. (2007) Table of Integrals, Series, and Products. Academic Press, New York. Olver, F.W.J., Lozier, D. W., Boisvert R.F. and Clark C.W. (2010) NIST Handbook of Mathematical Functions. Cambridge University Press, Cambridge. Zhang, S. and Jin, J. (1996) Computation of Special Functions. Wiley-Interscience, New York. Blanton, M.R., Hogg, D.W., Bahcall, N.A., Brinkmann, J. and Britton, M. (2003) The Galaxy Luminosity Function and Luminosity Density at Redshift z = 0.1. Astrophysical Journal, 592, 819. Kauffmann, G., Heckman, T.M., White, S.D.M., Charlot, S. and Tremonti, C. (2003) Stellar masses and star formation histories for 105 galaxies from the Sloan Digital Sky Survey. Monthly Notices of the Royal Astronomical Society, 341, 33-53. Taghizadeh-Popp, M., Ozogány, K., Rácz, Z., Regoes, E. and Szalay, A.S. (2012) Distribution of Maximal Luminosity of Galaxies in the Sloan Digital Sky Survey. Astrophysical Journal, 759, 100.